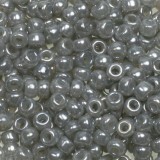 Miyuki Round beads 8/0 are of the highest quality, with a spectacular bead of 3mm, designed to create unique ornaments. 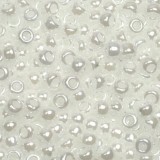 The fine, precise design makes the Myiuki Round 8/0 fine beads a universal base for every handicraft. 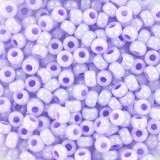 A huge selection of colors of seed beads guarantees the base to create many unique bracelets. The Myiuki bracelet will be a great gift idea. Thanks to Myiuka Round 8/0, you can create jewelry for any occasion, matching the style and color to the circumstances and preferences of the person who will wear it. Beads Myiuki Round 8/0 are three millimeter products, with the help of which you can get both modern and traditional bracelets. Devotees of classic shades will surely pay attention to the pearl color of beads, for lovers of modern solutions, there are Japanese beads in intense colors, such as turquoise, pink, purple or maroon. Myiuki beads are resistant to damage. Japanese beads are sold in various sizes, one of the most popular is the size 3mm that you can use for beading or making handicrafts. 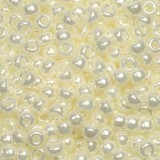 Ideally suited for creating bracelets with beads. 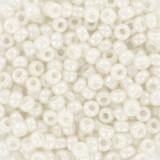 Our store's offer includes all sizes, including Miyuki Delica beads. 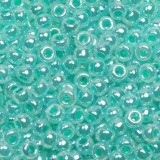 If you love japan beads please also check Toho beads.